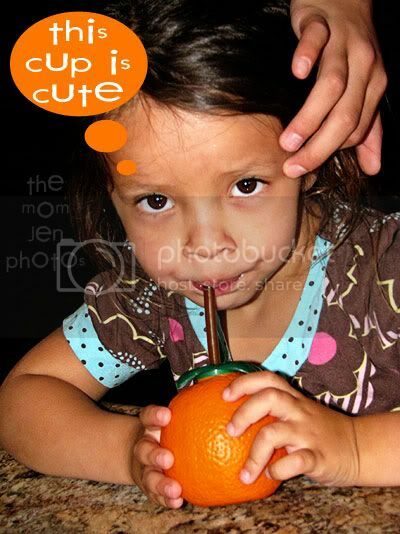 Musings of The Mom Jen: If I Could Bottle the Scent, I Would! Home > friends, oranges, Ranch Girl, Things I Love, vacation > If I Could Bottle the Scent, I Would! If I Could Bottle the Scent, I Would! On our way back from Disneyland, we stopped in Ventura county and visited my friend Ranch Girl! She's one of my close friends who picked up and moved on from my little town and I miss her terribly. 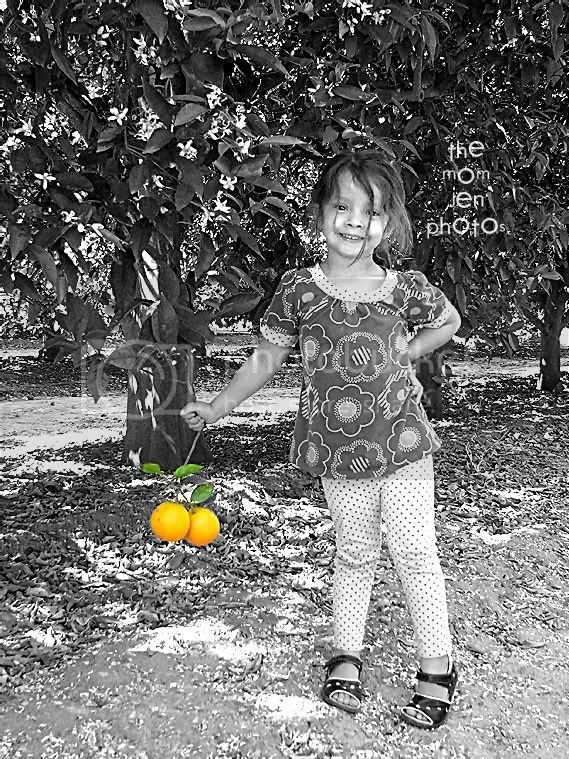 She and her family live on 10 acres of Navel and Valencia oranges now, and it's so beautiful and serene. 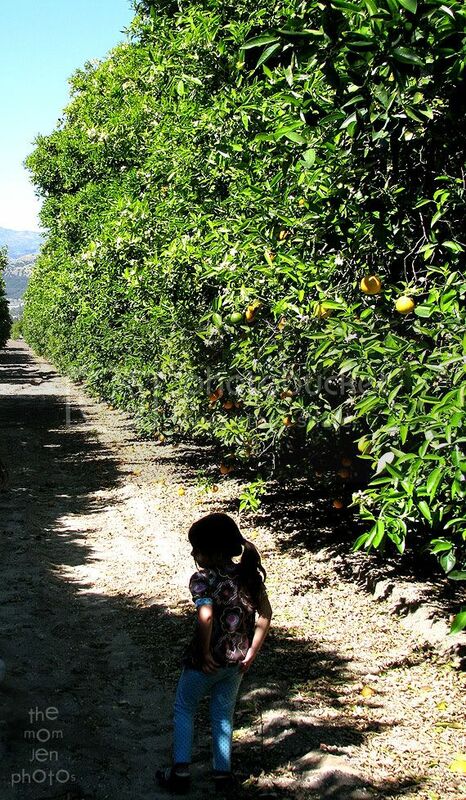 The sweet scent of orange blossoms made me drunk with happiness as we strolled through their orchard. The boys jumped into a nearby tree and picked some fabulous globes for us to enjoy and to take home. Let me tell you, they are the JUICIEST things I've ever tasted, wow. 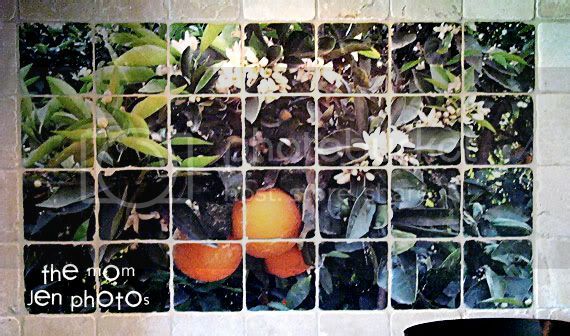 Ranch Girl took this photo herself and had it made into the most beautiful tile backsplash a stove could have! 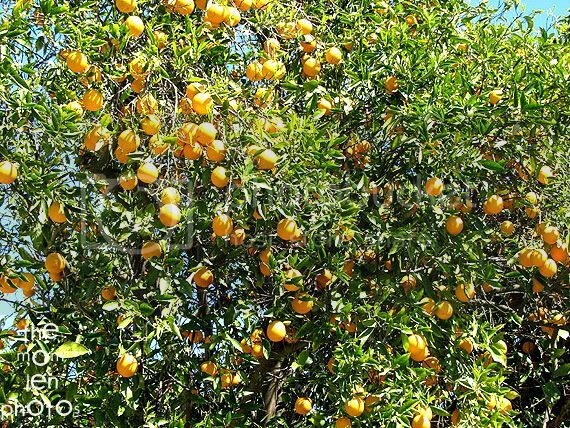 Before we continued our journey home, my lovely hostess squeezed about a dozen oranges to make us all some juice. K got the special cup! Although it was a short trip, the time spent visiting was so nice. I can still smell those blossoms on that warm windy day. awwww ... shucks, a whole blog post about my wonderful home and your visit ... thanks ♥ I'll be seeing you soon! The pictures are beautiful. I know how you feel about bottling the scent, we found out shortly after we moved here that the Tropicana factory is very close so we went to check it out. The smell of the freshly squeezed Orange juice was amazing. We too wanted to bottle up the scent but sadly nothing that is bottled smells quite as good. You were in my neighborhood! It does smell delish around here! Citrus blossoms and lots of lavender too! sure looks like you did! That looks like a great place to live! beautiful pictures and that is an awesome tile backsplash! Tile backsplash done by Pacific Tile Art (http://www.pacificatileart.com/) You send in a picture, they mock it up to make sure the tiles and the picture are how you want, they make it, and pop it in the mail! It's awesome!